The Alliance Party says a capital gains tax could help people priced out of the overheated property market. "A capital gains tax on all but the family home would be a significant step to make buying a house more affordable in the medium term," says Alliance tax spokesperson Professor Jim Flynn. "Listening to the response of National and Labour to this issue, it seems they are both relying on market forces to fix the housing problem that market forces created." New Zeal While there is no doubt that tax free capital gains on property does distort the market, it is one of the few areas in which the average Kiwi battler can make some real money. ACT has a better answer-drop taxes on everything else, so that people can make money in other areas. That will even things out and get the economy moving without unnecessary pain. Prof Jim also reveals his ignorance in blaming high house prices on "market forces". If Jim really knew his history (he was a Pol Sci professor at Otago for aeons), he would know that market forces tend to lower prices by increasing competition. Local councils are restricting land supply in a misguided effort to stop "urban sprawl"
The Resource Management Act and its associated compliance costs, adds tens of thousands of dollars to virtually every new house built. That's socialism Jim, not "market forces". By the way, is Jim a socialist? Well back in the '60s, Jim was a civil rights activist in the Southern USA and a committed member of the Socialist Party USA, a strongly Marxist leaning outfit. Later in NZ he was very active in the anti Vietnam War movement, the anti nuke movement and the Labour Party. He was even a foreign policy advisor to Prime Minister Norman Kirk for a while. Flynn was a founder of the New Labour Party and the Alliance. He is author of five books, most recently "How To Defend Humane Ideals". 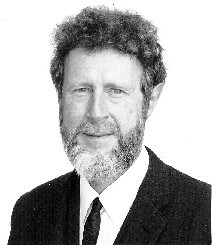 Jim Flynn has been profiled in Scientific American, reported in Newsweek, and awarded Otago University's Medal for Distinguished Career Research. Just proves you can be smart in some areas and sadly lacking in others. New Zeal "While there is no doubt that tax free capital gains on property does distort the market, it is one of the few areas in which the average Kiwi battler can make some real money." The proposal, may I remind you, is for a captial gains tax on all BUT the family home. I wonder why there are so few socialists like this fellow bashing Hong Kong's capitalistic society?